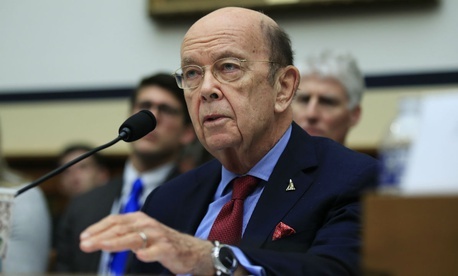 Commerce Secretary Wilbur Ross is sticking with a disputed year-old estimate that put the likely cost of the coming 2020 census at $15.5 billion, or a $3 billion increase over an estimate prepared in 2015. But the bureau met only three of the four basic criteria for a high-quality estimate—that it be comprehensive, well-documented, accurate and credible. The weakness is in the well-documented category of best practices, GAO concluded. “Cost estimates are considered valid if they are well-documented to the point they can be easily repeated or updated and can be traced to original sources through auditing,” the report stated. Factors that contributed to cost fluctuations between the 2015 and 2017 estimates include changes in assumptions, an improved ability to anticipate and quantify risk, and a higher need to collect responses from nonresponding housing units, a rate for which a coming decrease was assumed, from 63.5 percent in 2015 to 60.5 percent estimated in 2017. The report was requested by one Republican—Rep. John Culberson, R-Texas—and four Democrats (Sens. Claire McCaskill, D-Mo., and Gary Peters, D-Mich., and Reps. Elijah Cummings, D-Md., and José Serrano, D-N.Y.). As it did three years earlier, GAO recommended that the Commerce secretary direct the bureau to revise the methodology for documenting anticipated costs. In a reply, Ross said, “The department does not agree” and is “satisfied that the effort is comprehensive, credible, accurate and reliable.” He cited two independent cost analyses that backed the October 2017 estimate. But Ross added that the bureau would incorporate GAO’s best practices all the same.